The current issue of the Smithsonian Magazine has an article about the 20th World Orchid Conference in Singapore. The photos that accompany the story are jaw-dropping! I love that the photographer (JG Bryce) presented the blooms on the white background as it allows you to take in every detail of each flower without having to discern the petals from the background. Having attended orchid shows in the past I can say with confidence it can be downright infuriating not to be able to see some of the flowers up close (pack binoculars!). The focus of the article by Somali Roy centers on the unusual combinations of orchid varieties developed by dedicated breeders. 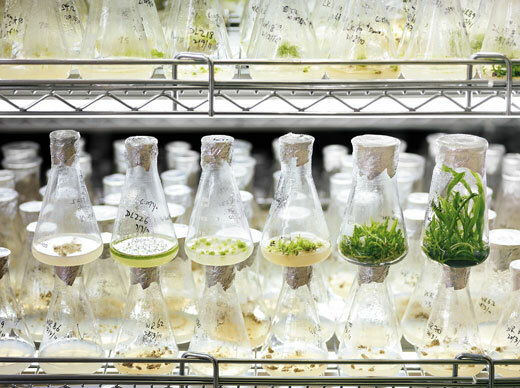 "The tiny seeds are strewn on nutrients in a sterile glass flask; after a few months, the seedlings are transferred to new flasks. Generally, they spend their first year under glass, their second year in community pots, their third in individual thumb pots. Only after four years do they begin to flower. The plants with the most favored characteristics, such as vigor, length of spray, and size, shape and color of flowers, are then cloned. 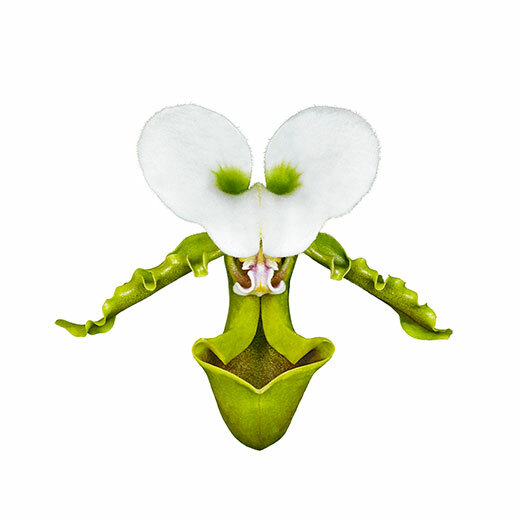 A meristem, or growth tip, is clipped from the orchid and shaken in a flask. Normally a meristem produces one shoot, but “shaking the plant tissue confuses it and it will start producing many shoots,” Yam said. Growers separate the shoots to produce clones of the same hybrid." See more photos and the full story at smithsonian.com.